The Rising Stars group is for children aged 5-7 and has a special focus on building confidence in the world of performance. 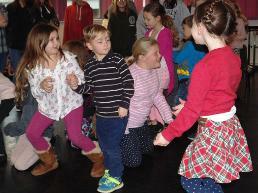 The focus is on having lots of fun as well as learning performance skills during workshops. We believe it is important for children to build on their self confidence and communication skills from a young age. Rising Stars work alongside the Junior Stage School with a designated assistant as guidance, and sometimes work in their own space on projects for productions. Rising Stars have their own group pieces for the Revues and are selected to do particular scenes in our main productions. Members in this group are also more than welcome to audition for various parts just like the members from the other groups. 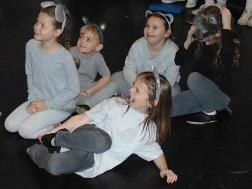 Many of our older members started Stage School as a Rising Star!